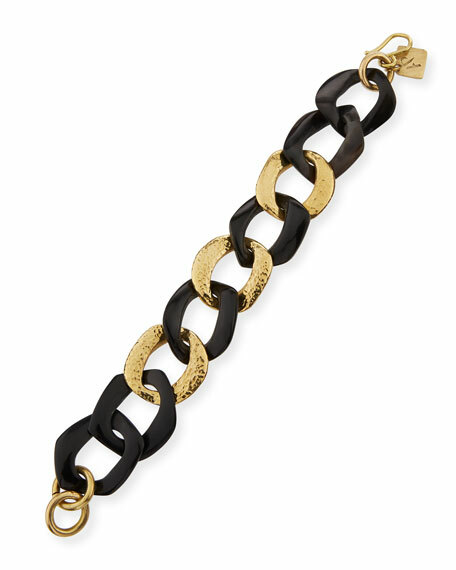 Salama chain bracelet by Ashley Pittman. 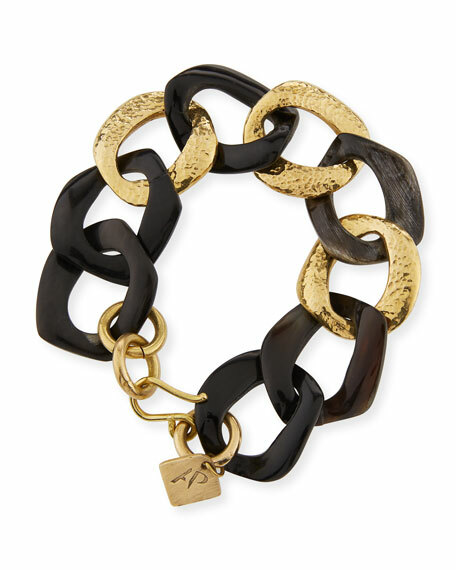 Signature African horn and hand-inlaid bronze links. 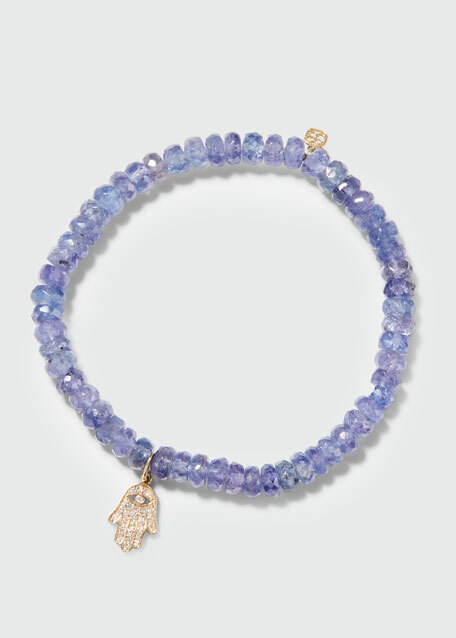 Sydney Evan tanzanite and hamsa bracelet. 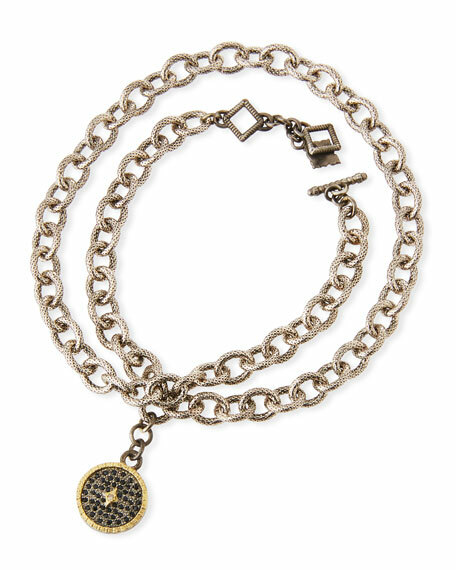 14-karat yellow gold logo and hamsa drops. 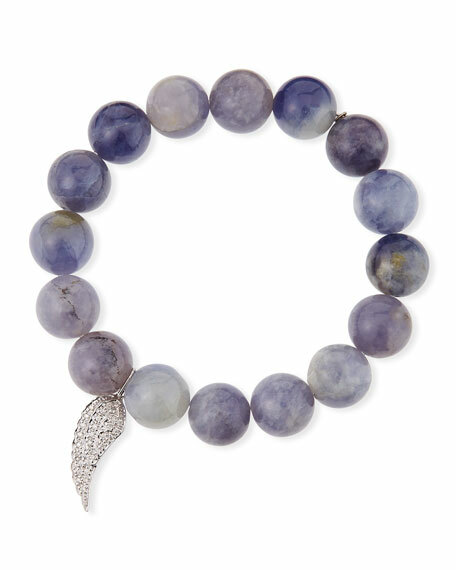 5mm faceted blue tanzanite rondelles. 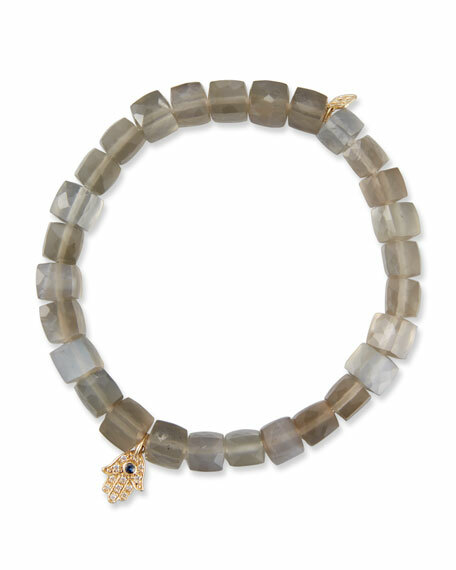 Hamsa charm with diamond pav. 0.025 total diamond carat weight. Charm, approx. 3/8"H x 1/4"W. Slip-on style. Imported.